This watercolor painting was commissioned by Southern Living Magazine to accompany their article on the Texas 'High Island' Bird Sanctuary. Birds migrate through the area and in particular are the Indigo Buntings shown in the picture. Pencil sketches were first sent to Southern Living for approval. 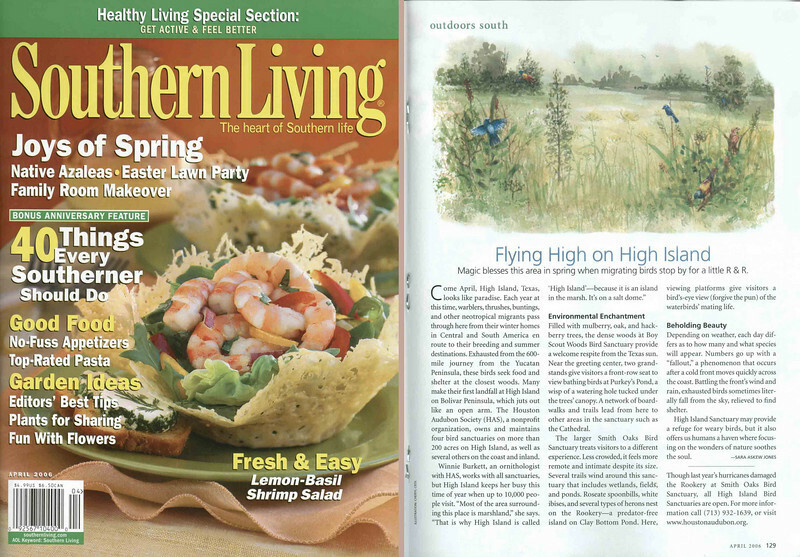 After a change or two the full color art was created and mailed to 'Southern Living' for print production. Medium: Watercolor paint on hot press watercolor paper.